Federal Medicare guidelines require that pharmacies and hospitals submit their “usual and customary” price for prescriptions billed to the federal Medicare program. Similar rules exist for drugs billed to Medicaid. The government wants to insure that it gets the best deal on prescription drugs. Since Medicare and Medicaid are taxpayer funded programs, the government wants to pay the lowest price possible. Jane Doe was a pharmacy technician for grocery stores in Illinois and Indiana known as Hometown IGA. Each store contained a pharmacy. 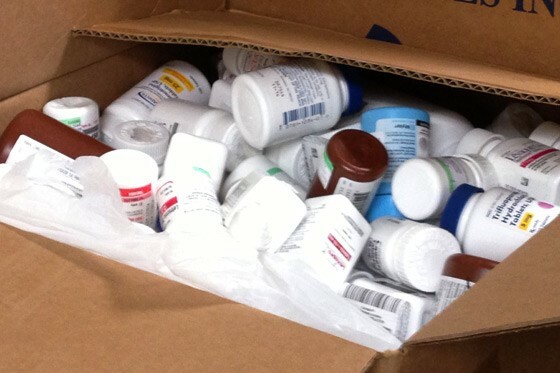 Hoping to compete with discount chains such as Wal Mart, the Hometown chain began a discount prescription problem called the IGA Hometown Pharmacy Rewards program that offered 400 different generic drugs for $3.99 for a 30 day supply. The program was only available to cash customers. If that is all Hometown did there probably wouldn’t be a case. The whistleblower (Jane Doe), however, says that Hometown billed higher prices to the government. Concerned that Hometown was committing Medicare fraud, Doe advised her boss that the pharmacy chain was breaking the law. She says she brought her concerns to three different managers and was told, “Well, that is what we’re supposed to do.” Ultimately, seeing no changes from the company, Doe filed a federal False Claims Act claim for Medicare fraud. The False Claims Act is a civil war era statute that allows whistleblowers to file a lawsuit in the name of the government. If the suit is successful the whistleblower – called a relator – is allowed to keep a percentage of whatever the government collects. After filing her complaint in 2013, the federal government investigated for a year and ultimately decided not to intervene in her case. Indiana, however, did join in the case. Undaunted, Doe elected to pursue the case without the assistance of the U.S. Department of Justice. Hometown IGA’s parent company asked the court to dismiss the entire case. They argued that the “usual and customary” price charged to the public was the same as that charged to the government. The pharmacy believed that since customers had to enroll and become members in its discount drug program, they were not members of the public. Nonsense said the court since membership in the program was open to anyone. On January 9th, the court ruled that Doe’s case could go forward. We expect the court’s favorable ruling will soon lead to settlement. What does the case mean to whistleblowers and pharmacies? First, the government is very aggressive on Medicare fraud. Medicare and Medicaid want the lowest prices for prescription medications. Playing games like making cash paying customers members of a “club” are not likely to pass muster. The case also shows hope for whistleblowers that sometimes find themselves all alone. Certainly Doe would have liked the Justice Department to intervene in her case. That isn’t always possible, however. Although a case in which the government intervenes is more likely to settle quickly, Doe held on for a full year and it appears her perseverance is paying off. Think you have original source information about Medicare fraud? The whistleblower lawyers at Mahany & Ertl have litigated some of the largest case in the United States. We have 3, billion dollar cases and served as lead counsel to one of the three whistleblowers in the recent $16.65 billion case against Bank of America. Obviously most cases are much smaller but large or small, every case is important to us.